Qatar Airways CEO, Akbar Al Baker, has cited a recent spat with Qantas as another reason he is readying to exit Oneworld. Repeatedly threatening to leave over the past three years, he has today reiterated comments from October that his airline is on the verge of quitting the alliance. In this week’s volley of threats, Al Baker claims Australian partner, Qantas, issued a letter to his staff attacking the expansion of the carrier in the Australasia region. His relationship with the founder Oneworld member has been difficult for some time, since Qantas launched codesharing with Qatar’s regional rival, Emirates. This comes as the latest of many occasions when Al Bakar has threatened to leave the alliance, as a result of their turbulent relations with both American Airlines and Qantas. Al Baker reiterated remarks from October, saying he would leave the partnership if members failed to ‘act in the spirit’ of the alliance. 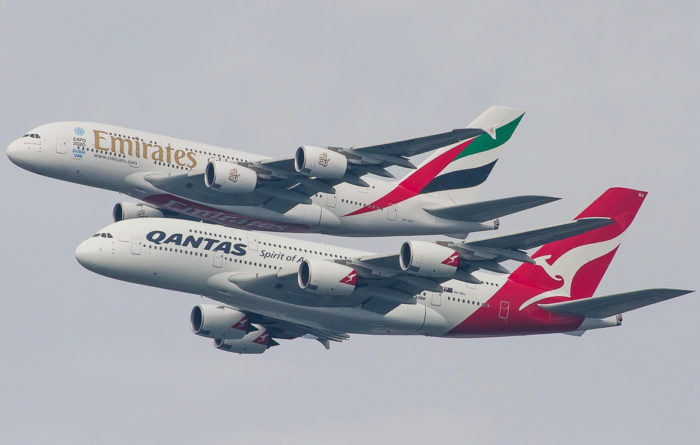 The Qantas-Emirates codesharing partnership was launched with this audacious flypast of two A380s over Sydney. Although the details of the letter have not been released, Al Baker claims it was sent to staff of Qatar, criticising the carrier’s expansion of Australian routes and activities. 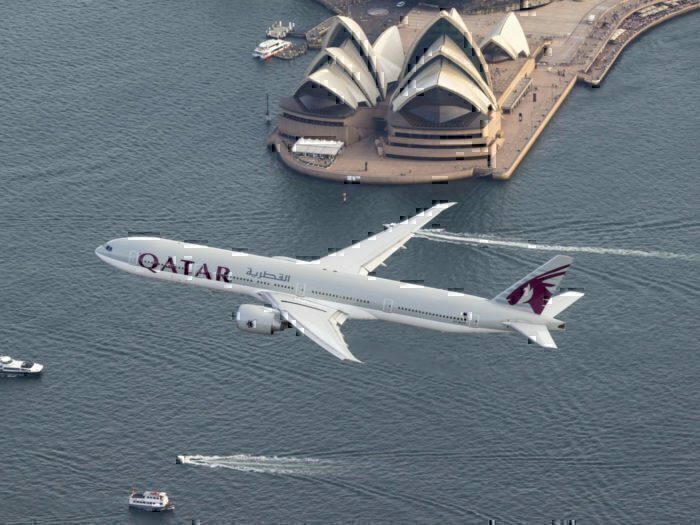 He claimed that Qatar Air’s expansion on Australian routes had been at the invitation of the Australian government. We’ve been reporting on abundant instances of Al Bakers threats to leave Oneworld. While an exit could spell trouble for many of the other airlines and, in particular, their frequent flyer programs, so far, nothing concrete has come of his words. As long ago as 2015, Qatar’s Al Baker was threatening to leave. At the time, there were allegations of illegal subsidies flying around from some of the major US airlines, as well as disputes over the Open Skies agreement between the US and Gulf carriers. Al Baker was not happy. He claimed the US big three airlines were using ‘bullying tactics’ to restrict competition and was particularly put out to see fellow Oneworld member, American Airlines, leading the charge on the opposing side of the argument. What would happen to Oneworld? With a membership base of 13 carriers, Oneworld is the second longest running airline alliance in the world. As a group, they shift around 527.9 million passengers every year. Founder members British Airways, American Airlines, Qantas and Cathay Pacific are still some of the biggest operators in the alliance, but Qatar make up a fair proportion themselves with a fleet size of 220. If their sway with these airlines meant they could tempt them away from Oneworld and into a new alliance, it would seriously deplete the numbers remaining. LATAM are the second largest member of Oneworld, with 313 aircraft. BA, part of the IAG group, are the third, with 275 and Cathay make up 146 of the fleet. This would leave only Qantas and Japan Airlines with fleets larger than 100 in the alliance, against American Airlines’ fleet of 956. Essentially, it would make Oneworld a highly unattractive alliance, and could see a rapid exodus of more carriers shortly after. Of course, this is all speculation, but one thing we can be sure of is a Qatar exit (Qexit?) would be bad news for European Oneworld travellers. Spending your miles with Qatar on Asian routes is highly attractive, especially if you like to travel business, as Qatar’s business class is simply a superior product. Upgrade to first, and you’ll get to fly on the legendary Qsuite, literally one of the best First Class products in the world. Once again, we await the consequence of Al Bakers latest rumblings and will keep you posted on the outcome, if any. Well for Qatar, the problem with all American airlines (starting with AA) is that they want to impose the law on other foreign lines that are superior in EVERYTHING !!!! Sevice, food, equipment, air staff, have friendly young people who know how to do their work, in the airlines in the USA, young people are pedants that learn from the oldest employees, poorly dressed, and 80% overweight. They do not respect the passenger, but the fault is not from the foreign lines, it is from the dome of vagrants and thieves who have the positions above, who only want to make money charging the passengers for everything. It is bad envy !!!! A few years ago AA wanted Iberia to serve free wine to its passengers, since they charged theirs. That is called repression. I wouldn’t like to comment on cabin crew working for US Airlines, but I’d be surprised if 80% were overweight in reality. However, you’re right that carriers like Qatar feel ‘repressed’ by some US carriers; whether that feeling is fair or not is up for debate. Is QSuite first class? I didn’t think it ever was. What Happens When Aircraft Dump Fuel?